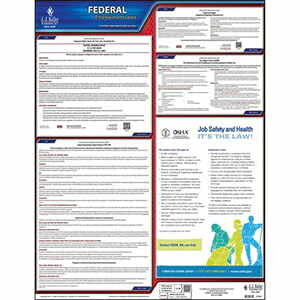 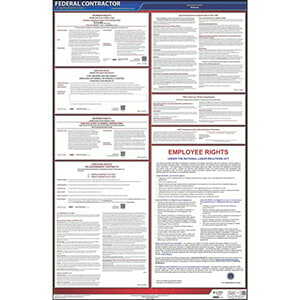 Meet federal employment law posting requirements with these durable labor law posters. 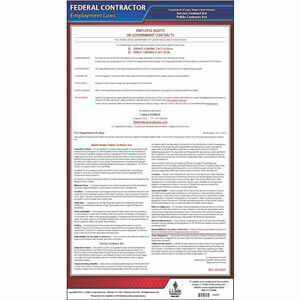 Includes eight commonly required postings for federal contractors and subcontractors. 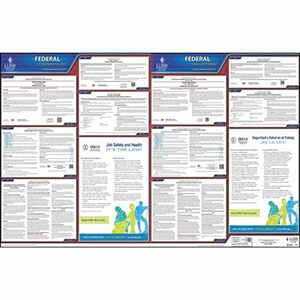 Meet federal employment laws and posting requirements with these durable labor law posters. 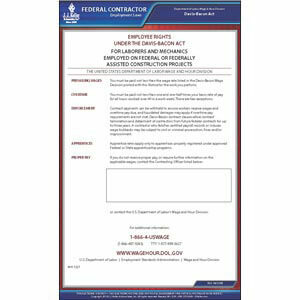 Federal contract poster helps you comply with Davis-Bacon Act requirements. Meet federal employment law posting requirements with this durable labor law poster.